This past weekend we visited Kingston, Ontario. It was a beautiful sunny day, but really hot. 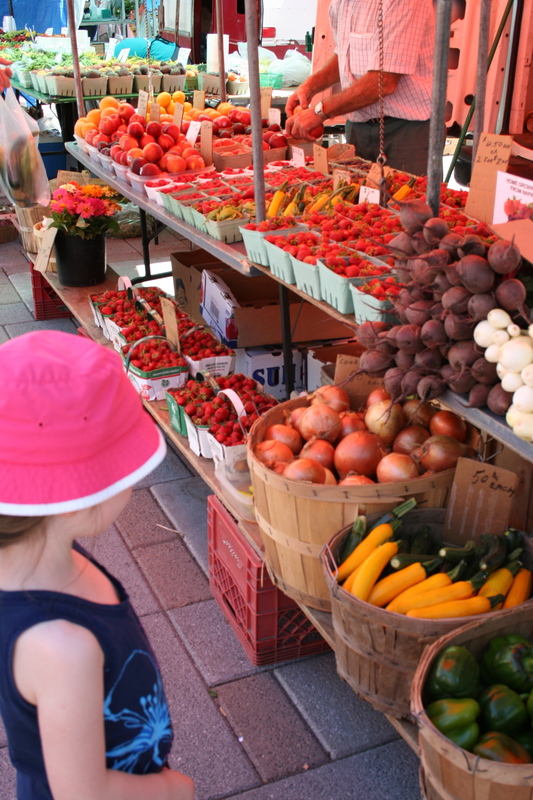 First we visited the market in the town square, it is such a nice market. 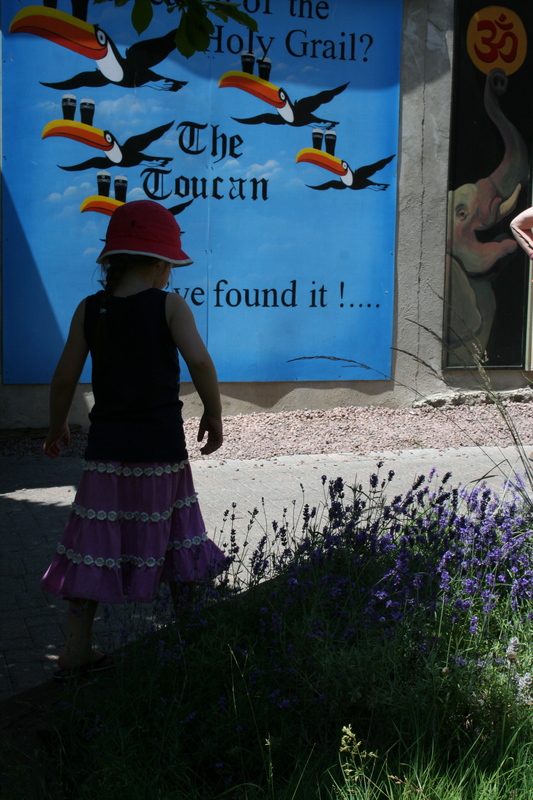 After the market and a little walking we went for lunch at one of our favorite spots in Kingston “Chez Piggy” the patio is so nice and little birds flutter around looking for crumbs and chirping. Lunch was very relaxing and the food was awesome too. After lunch we went down the street to Pan Chancho, a bakery that makes delicious everything. We walked around Princess Street to do a little shopping and then went to the Buskerfest, which was crazy busy and it was boiling hot. We stood in a long line for what seemed like forever for a balloon animal and then left to go meet a friend. Later, for supper, we went back downtown to our favourite burger place in Kingston, Harper’s. 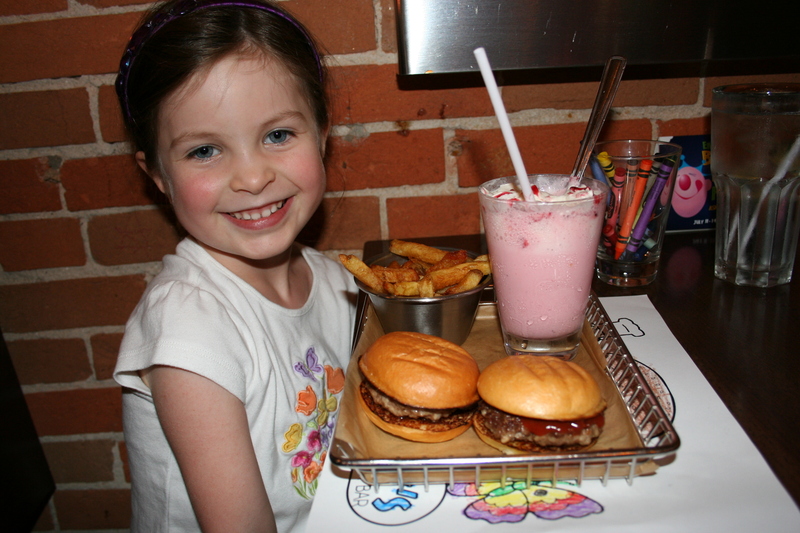 Evie was thrilled because she loves burgers and these are really good and the kids meals comes with two little burgers and a milkshake! I had a classic, Ray had a weird burger concoction, with an egg on top. 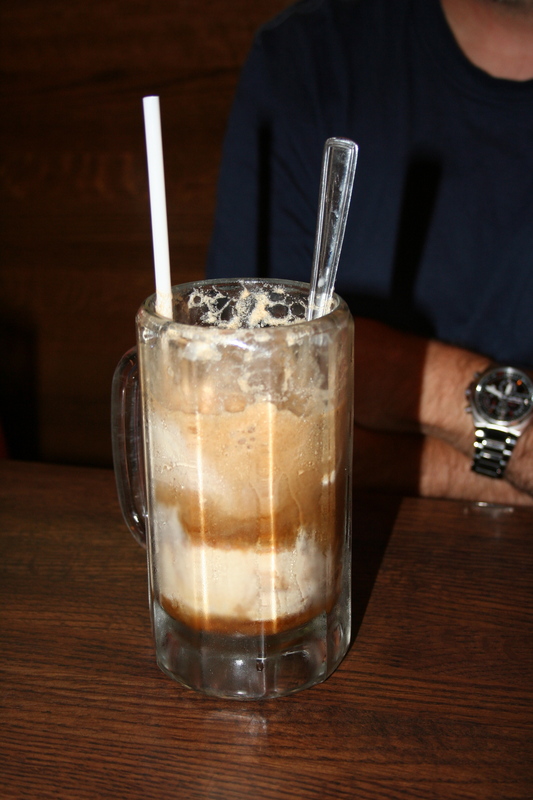 He paired this with a stout with a scoop of vanilla ice cream thrown in, I guess that would be a beer float. Usually on the old highway that we take to Kingston we see wild turkeys and deer, but today we saw peacocks and deer. Yes, peacocks crossing the street and a group of them on a lawn. Not what I expected to see. Then Evie went to sleep after a long hot day. Sunday was also a hot day so we went to the wading pool. Then we tested a new recipe, fried chicken. 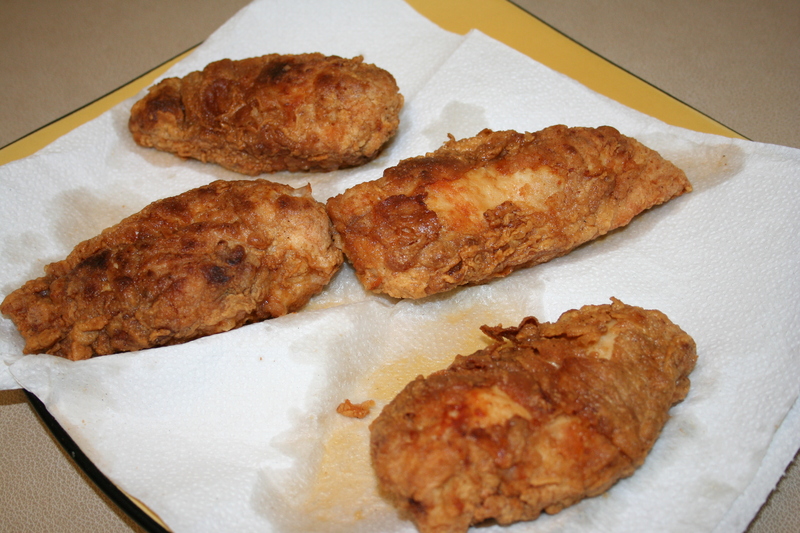 It was sort of a take on southern fried chicken, but a little healthier because we were using boneless skinless chicken breasts. This really was an experiment and it was questionable and being changed, sort of made up, as we went. I stopped taking pictures because we thought it was going to be a flop. It actually worked well and was really good and tasty. I took a picture of the chicken at the end. We will make it another day and post the whole recipe. This entry was posted in the places we go and tagged Chez Piggy, food, fried chicken, Harper's, Kingston, restaurants.